Data from a landmark study of the world's longest migrating seabird reveals how overland migration is an integral part of their amazing journey. 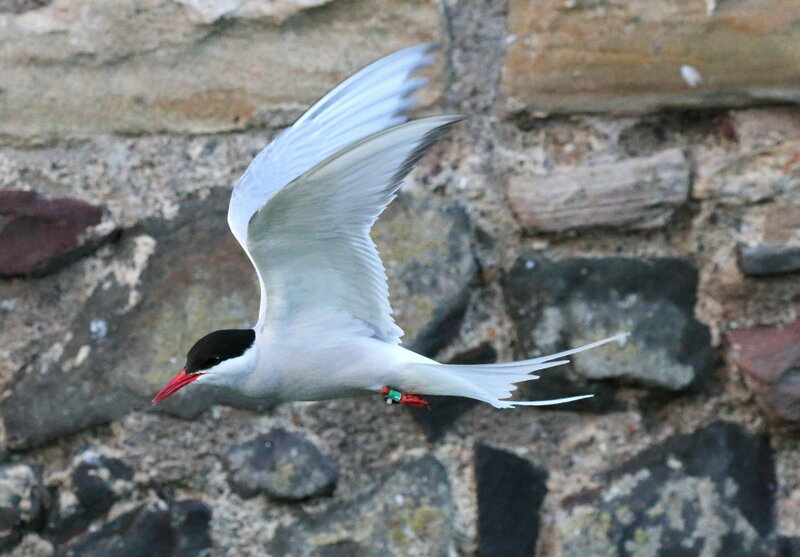 Analysing the data from electronic tags retrieved from 47 Arctic Terns, the Newcastle University-led team has been able to characterise in unprecedented detail the route and stop-off points during this record-breaking bird's 90,000 km annual migration. Led by scientists at Newcastle University, UK, in collaboration with BBC's Springwatch and The National Trust, 53 adult birds nesting on the Farne Islands off the Northumberland coast were fitted with geolocators over a three year period. So far, 47 tags have been retrieved and the research team, led by Dr. Chris Redfern of Newcastle University, are starting to analyse the data. "Technology is revealing details of the movement and behaviour of these amazing birds in unprecedented detail," says Dr. Redfern, whose initial findings in collaboration with Dr. Richard Bevan are published today in the academic journal Ibis. "Arctic Terns feed on surface fish and other marine animals so it has always been assumed they would migrate via a coastal route, down the North Sea and through the English Channel. "But instead our data has shown their regular route is to travel overland across the UK to the Irish Sea and some are going even further crossing Ireland to the North Atlantic." After that, it's a long hard trek south, down the coast of West Africa and then out across the Indian Ocean.